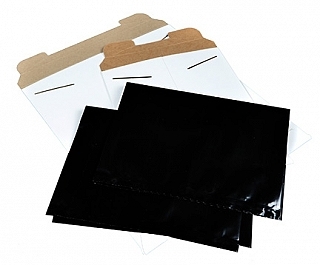 The Envelope and Black Bag Set consists of one sturdy cardboard envelope along with one black polypropylene bag. Slightly over-sized to fit the size listed, the envelope is also convenient as a photo mailer. Note: Black Bags must be used with white mailer envelope to insure light-proof quality. These plastic bags are not light-tight by themselves.